This article originally appeared in the spring 2019 issue of STILLPOINT magazine. The Christian elementary school was founded in 2007 in a government building that had been destroyed by rebel forces just a few years earlier. Beautiful Beginnings is advancing education among Liberian youth and working to eradicate pervasive illiteracy through a unique reading curriculum that Ollie (pictured above, left, with her mom at Gordon’s Commencement ceremony in 2018) introduced to her country. In 2003, Ollie and her then five-year-old daughter, Joy, fled Liberia due to civil unrest and stayed with Ollie’s mother in Lynn, Massachusetts. Joy attended first grade at North Shore Christian School, and Ollie followed along as Joy learned to read using the multisensory Wilson Language Fundations® reading program. As she learned this new method of reading, Ollie also took the opportunity to advance her own education. “I didn’t know how long it was going to take for the war to end. Instead of just sitting and waiting indefinitely, I decided to continue my education,” says Ollie, who had earned a bachelor’s in religious education from the Liberia Baptist Theological Seminary just after being named Miss Liberia in 1988. Ollie enrolled in the Master of Arts in Educational Ministries at Gordon-Conwell Theological Seminary. For elective credit, she took a Principles of Reading course at Gordon, where Ollie encountered the same Fundations® program that Joy (and she) had been learning. Others outside of her community took notice, too. 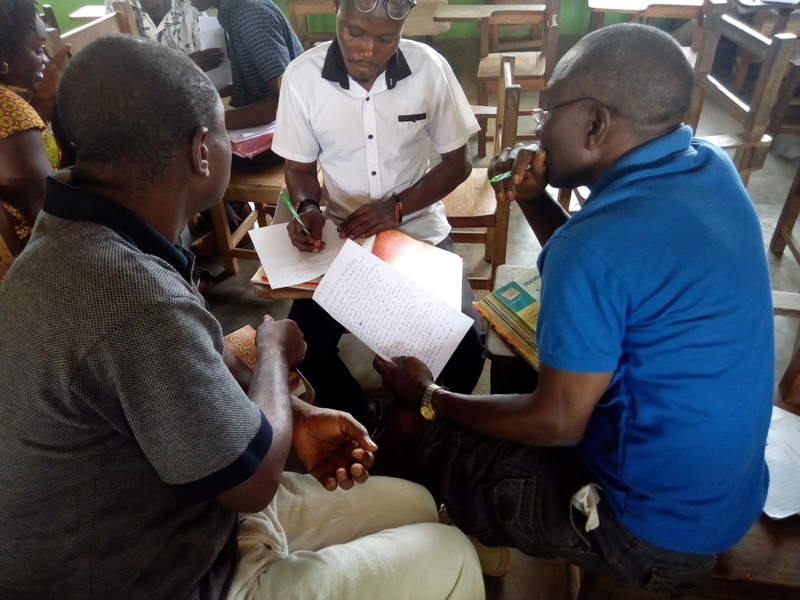 Ollie was quickly recruited by the Research Triangle Institute, headquartered in North Carolina, to provide training for Liberian government teachers under the Early Grade Reading program. She hired a staff to help run her fledgling school and began working with government teachers to improve reading instructional delivery in public schools through training and curriculum development. And then the West Africa Ebola crisis happened. “That threw all my plans back. 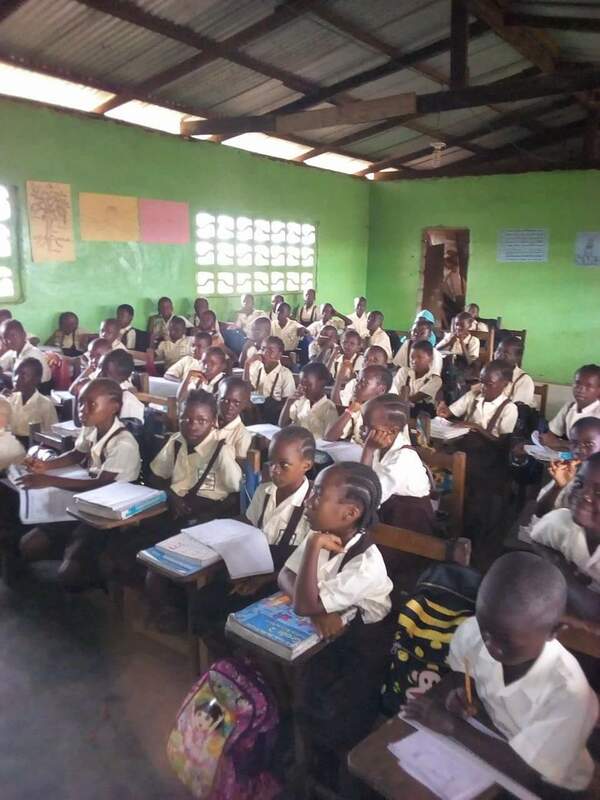 We had to close the school.” Ollie and a team of young researchers converted curricula from Beautiful Beginnings and the Liberian public schools into a homestudy program so that students could continue learning. “It was a horrific nine months,” she says. But thanks to the home-study program, 300 students were able to complete their curriculum and move to the next grade when school re-opened. “They were not victims of the gap year suffered by other students of other institutions” as a result of the outbreak. 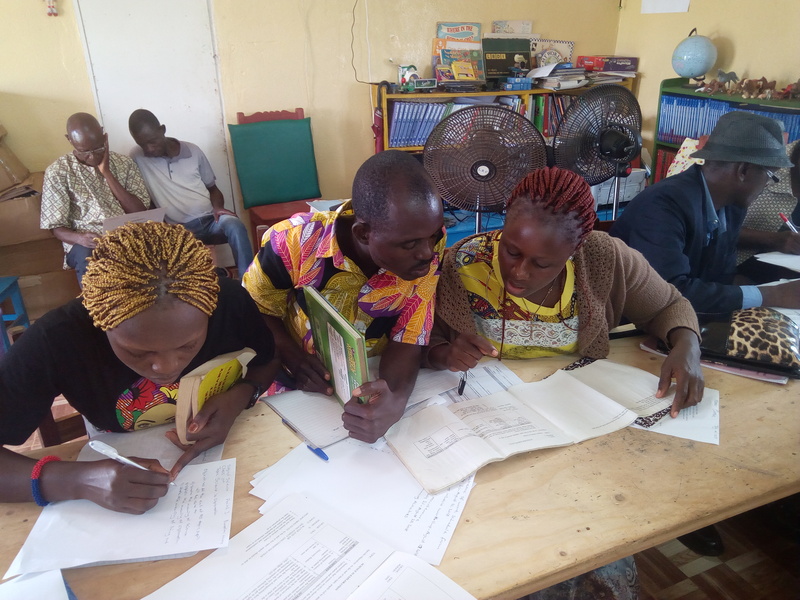 As the Ebola crisis subsided and life returned to normal, Ollie was offered a position designing reading programs as an education specialist with USAID. She played a lead role in developing an activity called Read Liberia, which is being implemented in 640 public schools for the purpose of training teachers and district educational officers. At the same time, she made good on her plans and officially enrolled in the graduate education program at Gordon. The five-hour time difference between Wenham and Harbel meant logging on for class late at night. And the spotty Internet meant that sometimes she’d be at her school, sometimes at home, sometimes at a friend’s house—wherever the connection was strongest. But true to form, Ollie persisted. She graduated in May of 2018 with an Education Specialist in Leadership degree. Today, Beautiful Beginnings has 470 students and 35 staff. Its activity-based learning center was funded by the German Embassy under the leadership of Ambassador Ralph Timmerman and his wife, Renata. Ollie has been recognized by the Liberia Ministry of Education and the Office of the President of Liberia, under Madam Ellen Johnson-Sirleaf.